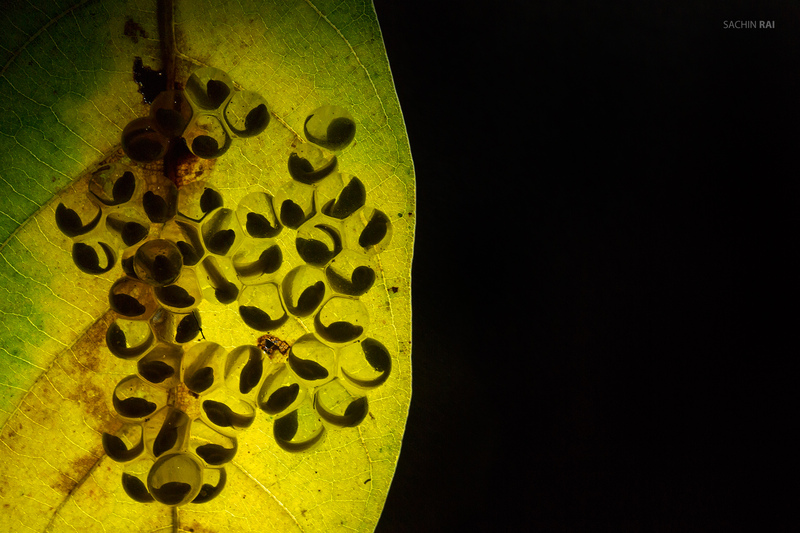 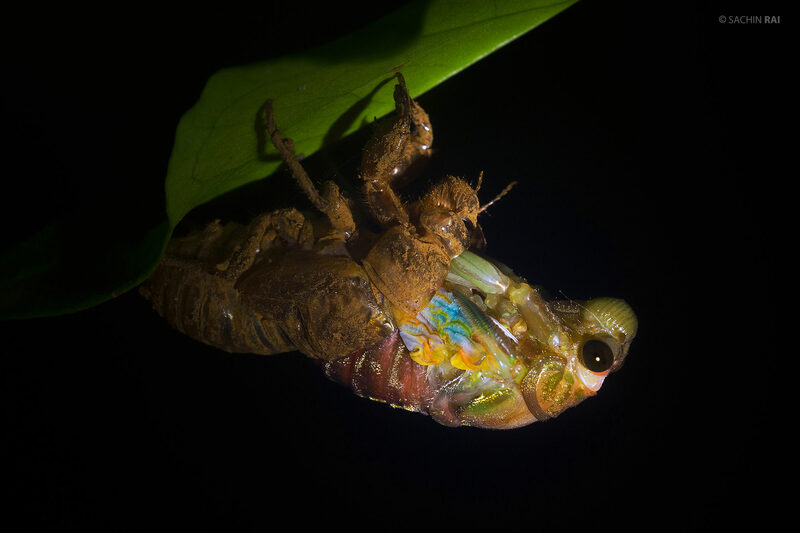 A cicada emerging from its larvae shell in one of the forests in the Western Ghats of India. 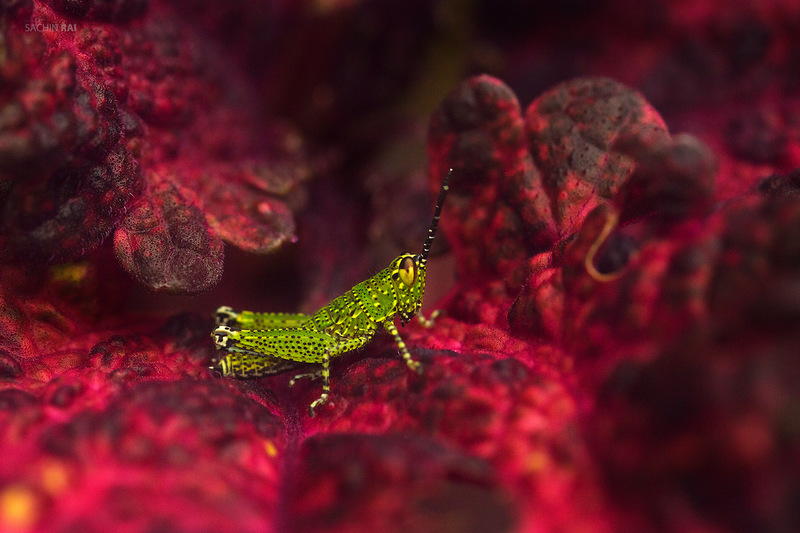 A grasshopper perched on a plant with red leaves in Coorg, Karnataka. 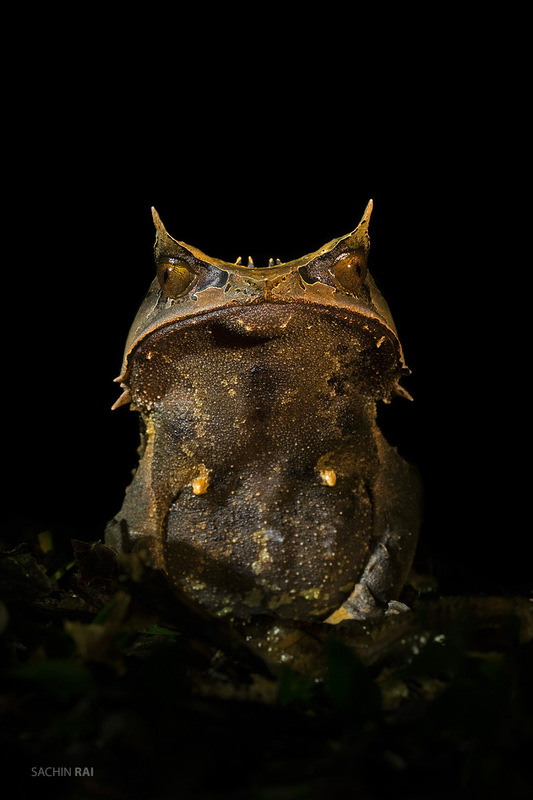 Borneon horned frog or also called the long-nosed horned frog (Megophrys nasuta) is one of the highlights of Borneo. 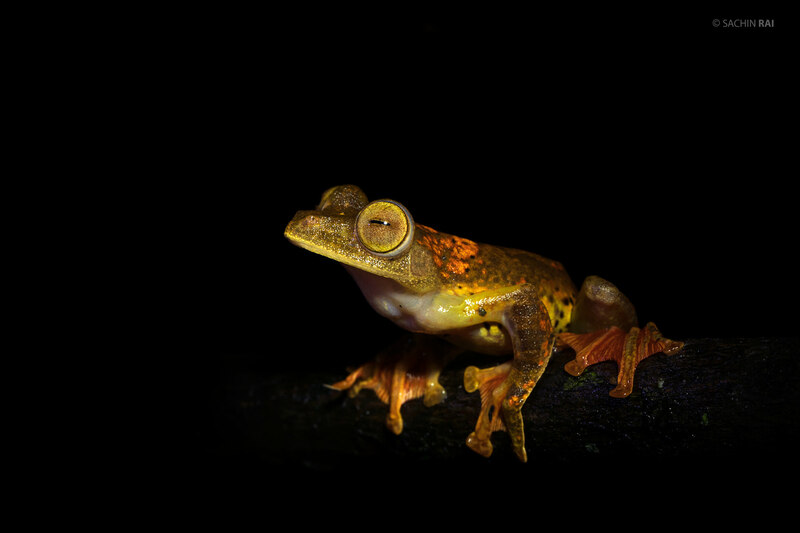 Harlequin tree frog (Rhacophorus pardalis) is one of the colourful tree frogs in Borneo. 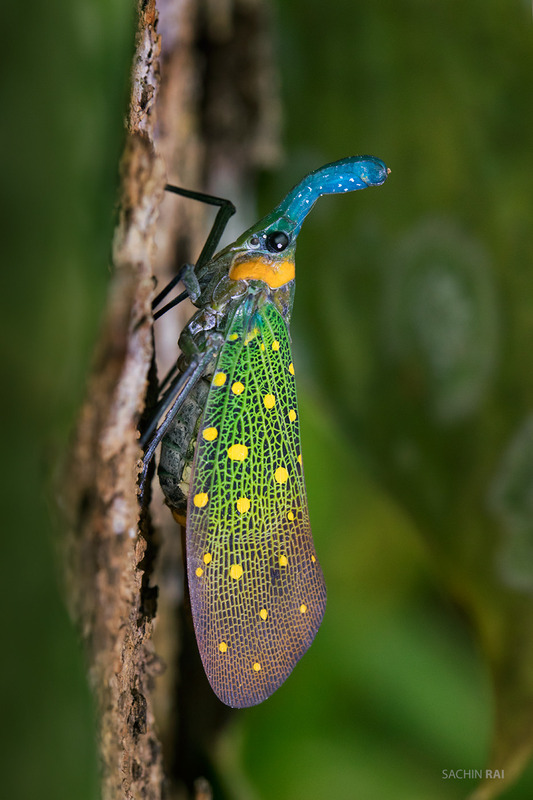 A lantern bug from the rainforests of Borneo. 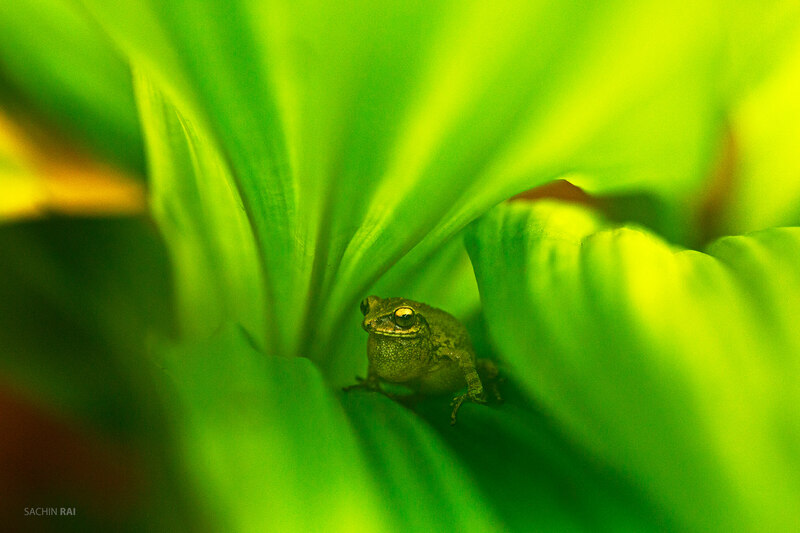 A bush frog calling from inside a plant in a garden in Coorg, Karnataka. 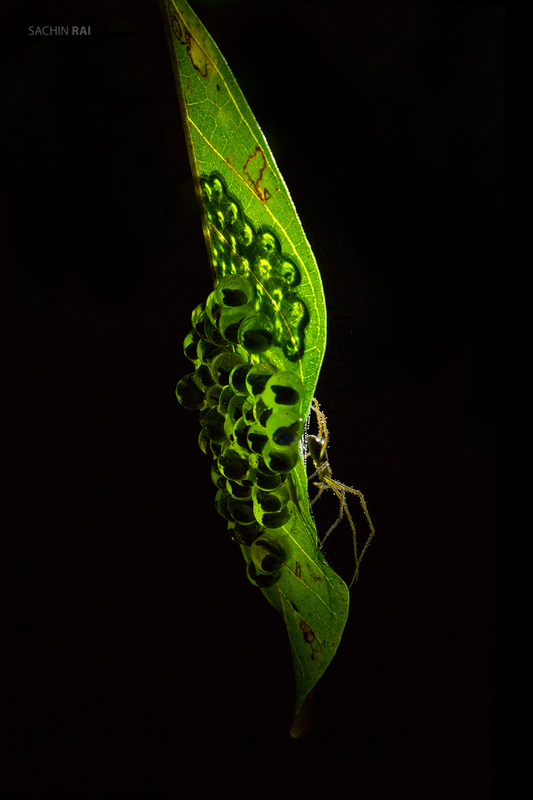 This spider was trying to make a web on a leaf that was hosting two clutches of eggs by the wrinkled frogs or also called as night frogs. 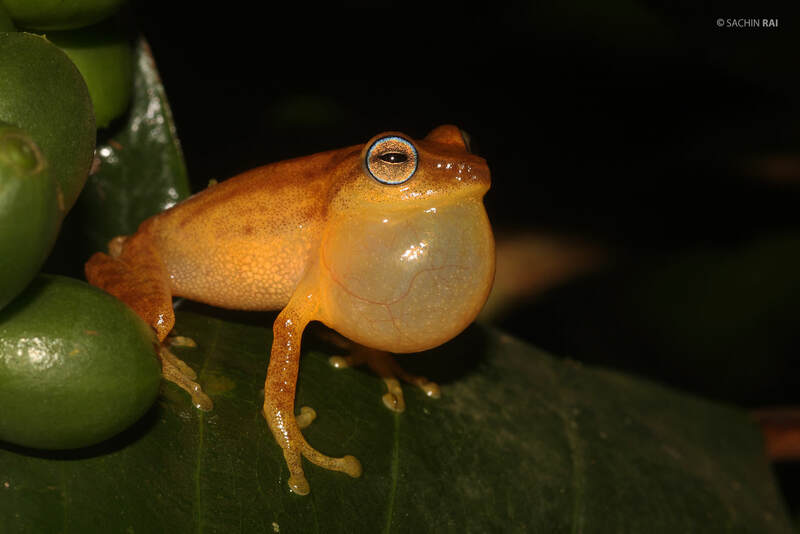 These frogs are endemic to the Western Ghats of India. 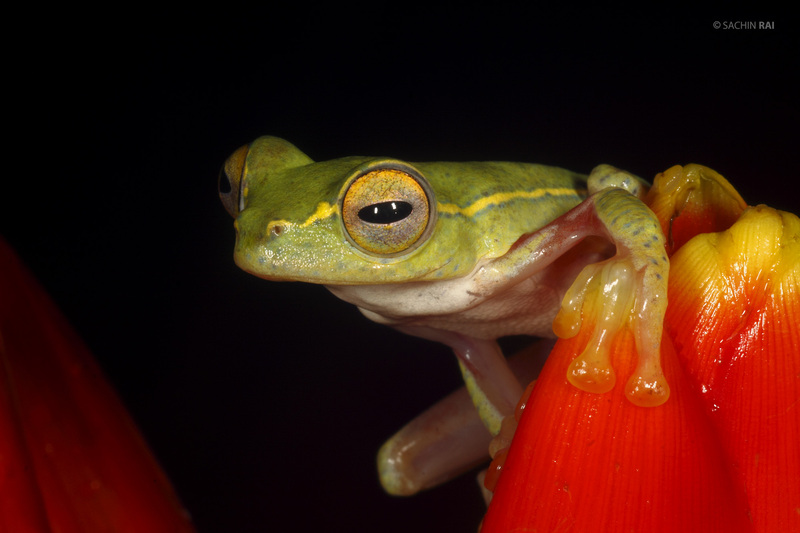 A tiny bush frog the size of a coffee bean sitting on a leaf in the coffee plantations of Coorg, Karnataka. 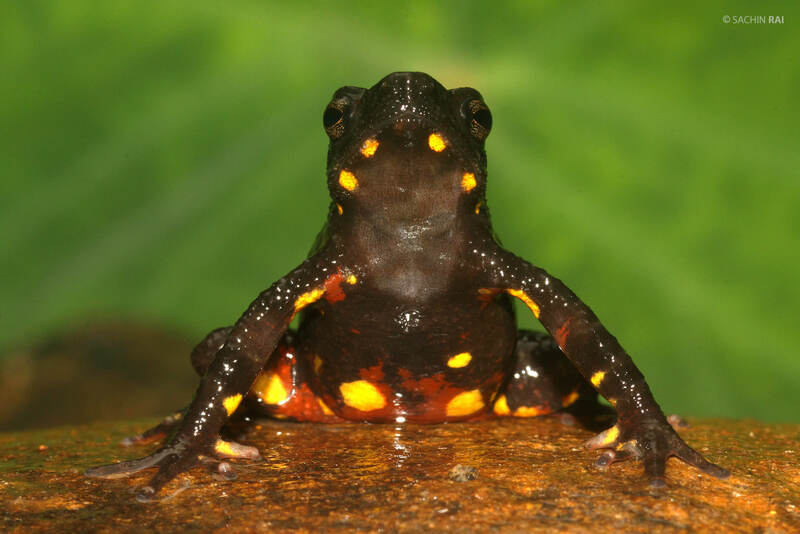 The torrent toad (Ghatophryne ornate) is one of the most colourful toads endemic to the Western Ghats of India. 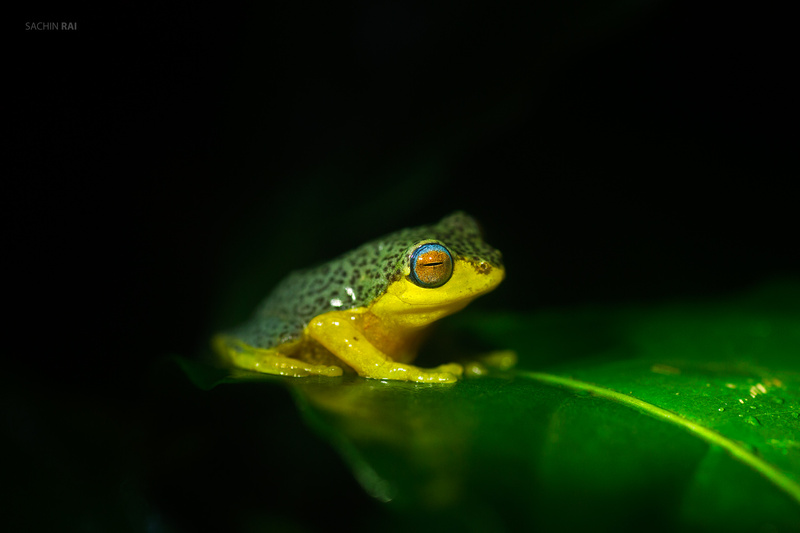 The blue eyed bush frog (Raorchestes lutelous) is tiny frog endemic to the Western Ghats of India.